Not a race….just a bit of ‘Fun’ to get the RATS started for the year! 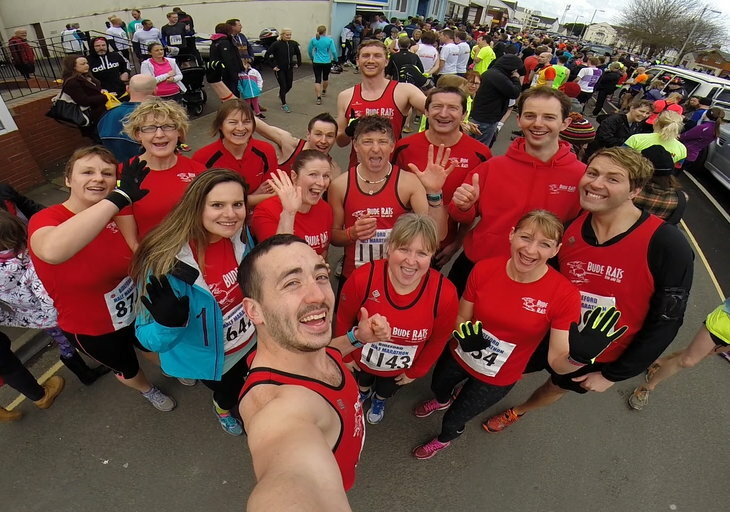 Intense weather and conditions for this years run…best summed up with a few comments from some of the RATS who Made it! Elly- I have never ever been so cold, wet and muddy!! Still defrosting today! Paul- Awesome wasn’t the word that sprang to my mind. The most unplesant thing I’ve done since ……ever. It’s a good job I get a year to recover. David-Now that was the toughest run I have EVER done. 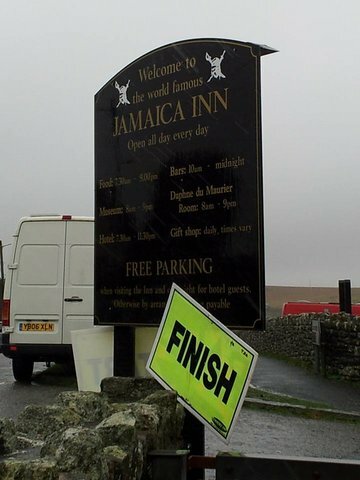 So much respect to everybody who even attempted this, even the people being picked up by the search and rescue team and stretchered back to Jamaica Inn Mark W-You had to be there to truly appreciate how awful the conditions were! The Moor was a bog from start to finish, the rain and wind so strong it hurt and the mud got everywhere. Paul Kinsman 41.59 Great run from Paul,as he attempts to burn off the xmas sweets! 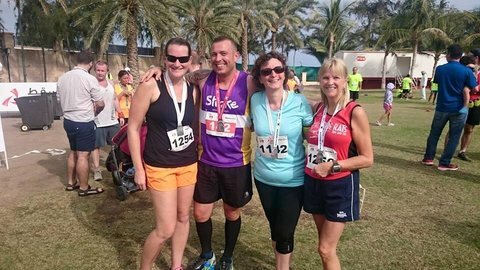 Sue Smith took part in the Muscat 10k,Some international representation for the RATS! Sue Said: As I was running along the coast road looking at the sea, my thoughts took me back to lovely Bude and to you all at the Club. 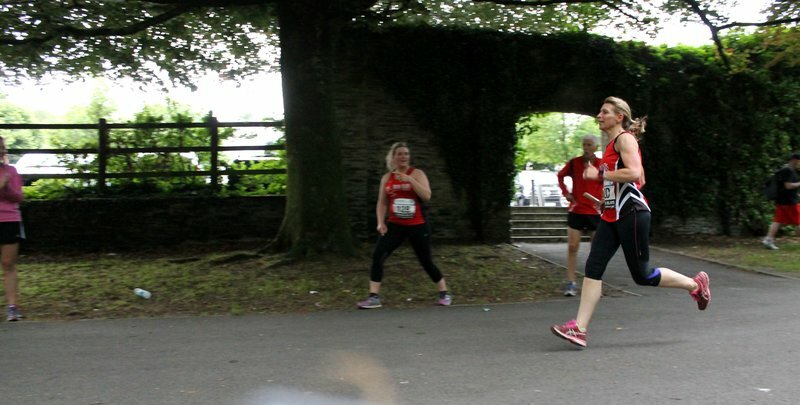 I ran the 10k race by myself and 3 others alongside a colleague who was running the marathon for the first time to raise money for the Stroke Association for which his wife, aged 32 years, had been a victim. Well done Sue. Susan McTavish- 5hr 23. 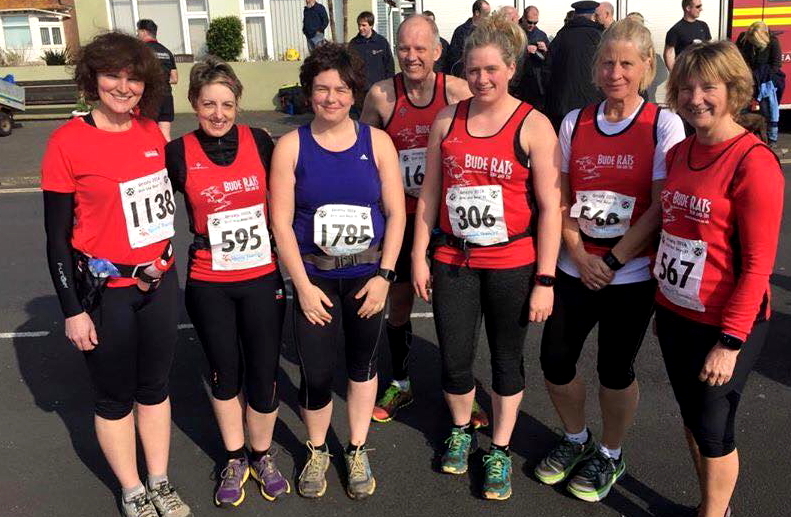 It was Humid- I’ve never raced in humidity before & it was a race you didn’t have to take to seriously!…..(I ran in mouse ears) Well done Susan, we hope to see the mouse ears around Bude at training now. The coast was the most brutal I’ve run. Beautiful coastline but not a great deal of chance to look at it much as I tried not to be blown into electric fencing.lol. My mountain warehouse cap is now somewhere in the English channel and both cap and beanie were ripped away by the freezing wind. Jagged rocks and steep ascents certainly made it a very punishing route. The sight of tarmac was a blessing even if I was being barged back and shaken around like a raggy doll by the wind. The time speaks for itself. Those who know me would know that wouldn’t be the time of any road marathon. It was severely challenging! Well Done David- an achievement to be proud of. Great to have you representing the RATS! 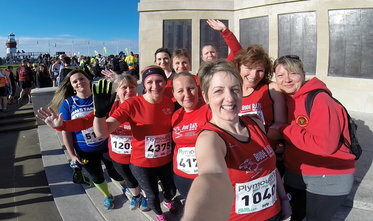 David Andrewarth, in his own words, describes the event: Well I created this event to give something back to the running community and to do something Cornish on St Piran’s Day because I’m a very proud Cornishman. The coastal route of 17(ish) miles between Cape Cornwall to St Ives took almost a hundred runners through undulating climbs,rocks,mud,streams and farm animals. 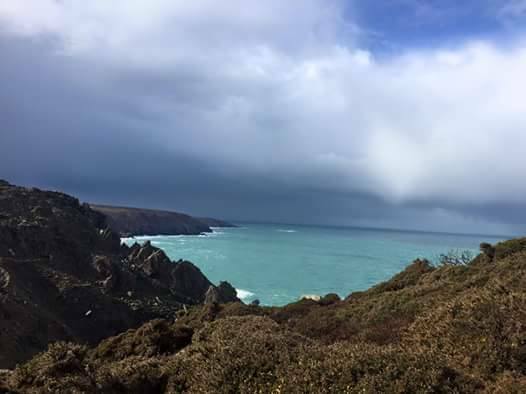 This route is severe and is the hardest stretch in Cornwall and one of the most arduous and strenuous in the UK. So overwhelmed by the turnout and the extremely mad positive feedback from people comparing the event to other organisations. Well done David-From all at Bude RATS. David Andrewartha 1.37.10 New PB for David as he knocks a whole seven minutes off of last years finish time. Phil Aldis 1.36.59 10 Miles,in the dark,with some mud and obstacles throw in for good measure-sound a bit like a winter Tuesday night run for the RATS! Well done Phil with another strong run. Paul Kinsman 42.21 Paul Says he scraped round, but we don’t believe him with that time! As he brings his excellent parkrun form up to 10k distance. 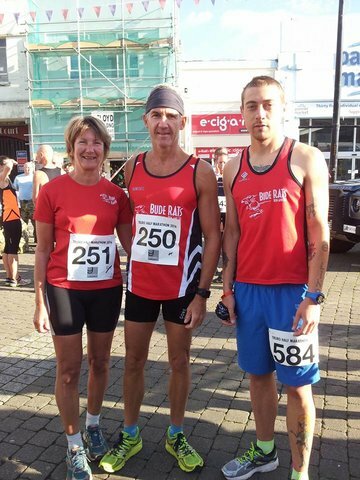 Phil Aldis took part in this event down in Penzance. The Cycle was cut to 8km due to high winds on the day-bikes being blown over on the transition still made for a manic changeover! Phil Came home in 1 hour 5 minutes and 54. 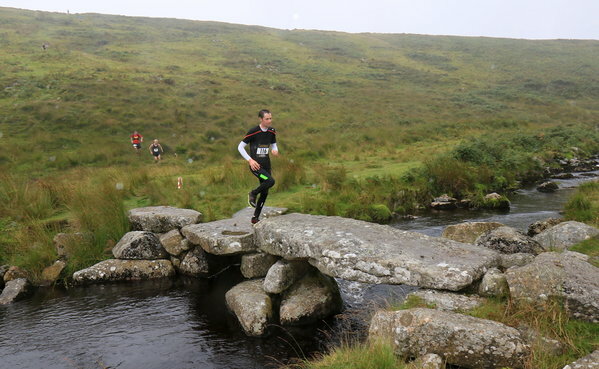 Rollo our lone RAT running at Tavy this year! Well done for flying the flag. 15 miles total distance,on a very tough trail running route,1000m of ascent in total! David taking on and doing well in another tough event, representing the RATS as he goes! Long term RAT,Toby set a new PB at Brighton this year with a perfectly paced run. Well done Sir! 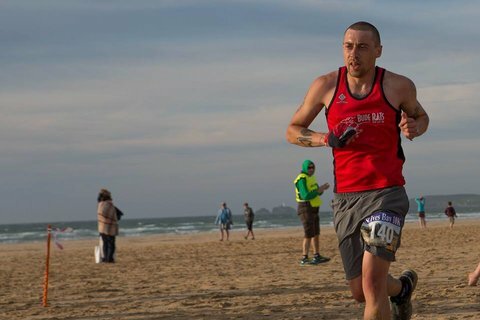 Obstacle based 8k run,on the extreme side! Sand Bag carry,waterslide shoot into a cold lake,cargo nets and monkey bars,not to mention the 2x20kg water drums to carry,all taken on by our resident Ninja Paul Kinsman in a time of 2hours 10 mins! 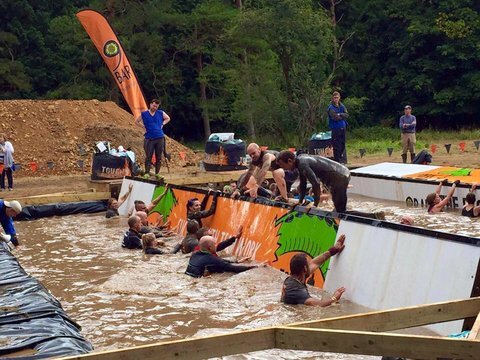 Paul Kinsman was battered and bruised as he took on 11 miles of tough mudder,with 26 obstacles en’route! Not officially timed but Paul made it round in 3 hours-scaling a 10ft wall,monkey bars,log carry and even some electric shock therapy along the way! 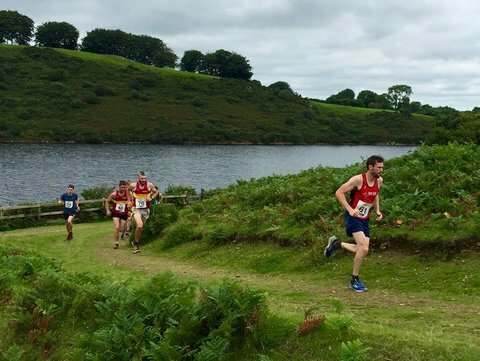 One of the toughest courses in the GP series (race 4) Undulating trails around Holywell Bay. 5km run- 27mile Bike -5km run-27Mile Bike-5km run! 1st in age cat for Leila with an amazing time,and a 3rd for Sean. Great running from all the Rats. 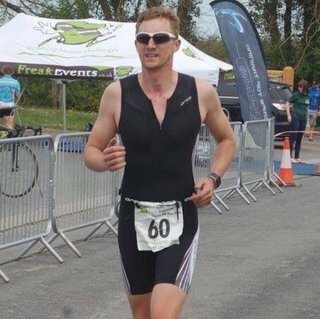 David Andrewartha managed to clock up am amazing 60 miles in this 24hour-go as far as you can event! David,as ever,was raising money for charity along the way. Fast becoming the RATS extreme race specialist! Well done from all at the club. Podium Finish as David came home 2nd overall in this race,down near Newquay. A rest week certainly has paid off! Time to slow down Paul- you’re getting dangerously fast here. David Andrewartha 9hours,21 minutes 58 seconds. 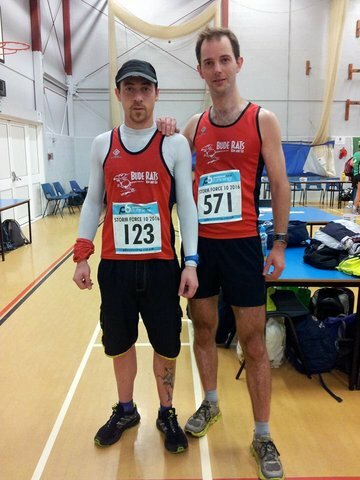 44 mile Ultra Marathon,well done boys! Record turnout for our club hosted event this year! 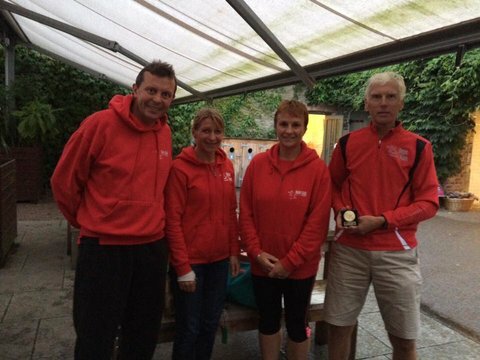 Lots of RATS helping to run the event on the night but the club was still represented on the course well. Well done Kelvin from all at the club. 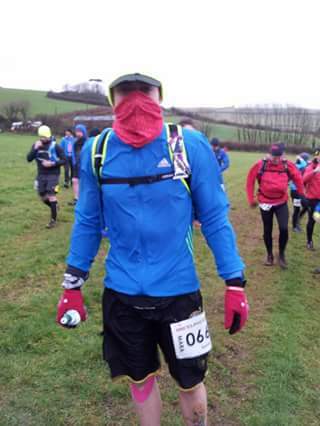 Alex says: Well – not usually an off road fan but north Devon half definitely in my diary for next year. Hilly but not too much, sandy but not too much, muddy but not too much. Not sure if mark would have the same comments on the full marathon! Also lovely to see past RAT Gary Lowson. Wadebridge to Padstow and Back! 2.4 Mile swim,112 miles Bike (!!) and then a 26.2 Marathon. 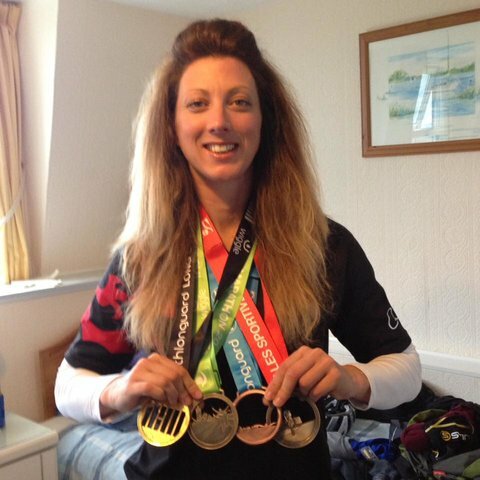 Sadie took on this incredible challenge, raising money along the way for Cancer research, in Memory of her Mum. All the training and build up events paid off as she became a Finisher in this tough race, Sadie proves she’s as tough as anyone! Well done from everyone at RATS. Bit of beach…bit of coastal track and a few inclines along the route! Teams of 4,each running just over a mile (1.1) around Tavistock for the yearly town relays. A RATS favourite! 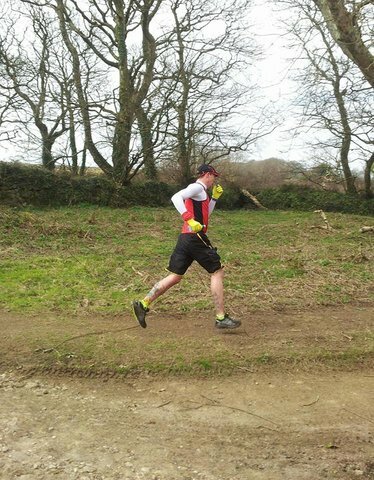 David’s training for the nearing RAT ultra race continues, with another great trail style run, this time as he crosses Dartmoor-north to south-34 miles. 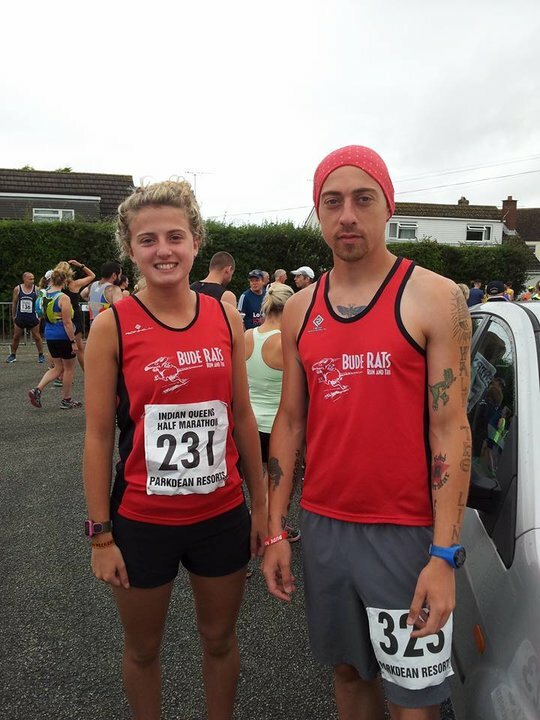 Great running from our RATS in this one, another solid run from David and a special well done from all at the club to Georgia as she completes her first half marathon. A race in honour of the Thai Queen.In Phil’s words:Very hot and very humid and a time of 52:41. It wasn’t helped by the fact that I was wearing my Rats vest as it was so hot. They gave out the race t shirt before the start and as there were no luggage drop facilities I had to put it on and run with it on as a second shirt! Very sweaty. 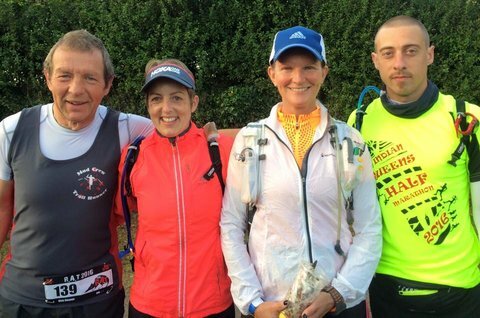 This year RATS were represented in this 32 mile trail run by Claire Strong, David Andrewatha, Karen Snelson and Nick Cleaver. See our facebook page for lots of reaction from our guys and gals,as they all came home safely in this mega challenge. Well done from everyone at RATS! Hangman 34 mile ultra today in Longparish, Hampshire 5:23:21 6th Male and 7th overall. Tough route but I was flying today. Best ever result in an ultra. Took me 12.5 miles to get into 7th and I stayed there for the next 21.5. Picked so many people off in that first 12 or so. Chuffed with that today. Another great distance run from David, representing RATS in so many races so far this year. Keep it up David, great running. Paul Kinsman managed to complete 2 laps (11 miles each!) of this crazy race over the weekend- and he managed to come home in one piece! Did you know of the actual volcano on Dartmoor? lots of hills, mud, water and a 2 mile fell run downhill type finish all taking place over 10.25 miles. Great fun & I came in 7th overall, so was chuffed! Pete does it again, and wins overall in this years Oak Croak. Another 1st finish for a RAT! Mark takes a surprise but deserved win in this 23km race with Wayne finishing in the top 5 too. Well done lads from all at RATS. Great running from both our lads in this local race. 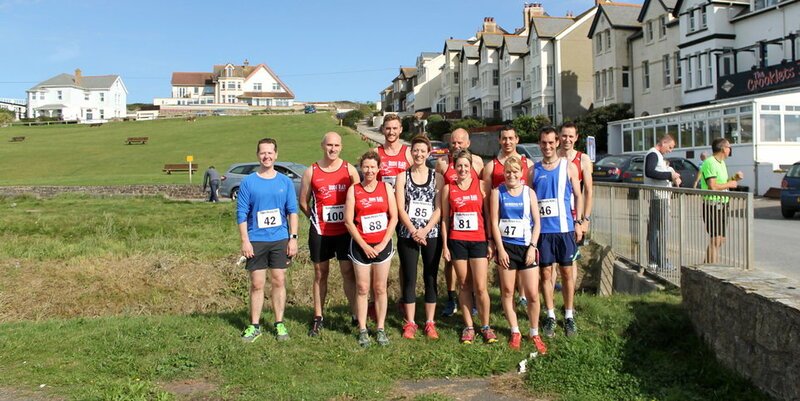 Well done to everyone involved in this years Bude Pirate run, RATS can be proud of putting on another great race! Our Own Paul Kinsman took part in another Tough Mudder over the weekend,this one after he had done the Crawley Tilgate Parkrun en’route in 20.45! Paul then went on to run 24 miles of obstacles over two laps in aid of a teenagers cancer trust Charity. Sunday saw Paul head out again for another lap of the 12 mile course. Amazing effort there for a great cause. Well done you RAT! 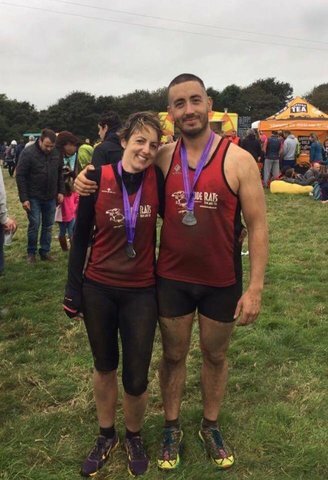 Paul & Claire took their places in a team which completed 2 laps of this crazy obstacle race- getting muddy along the way! 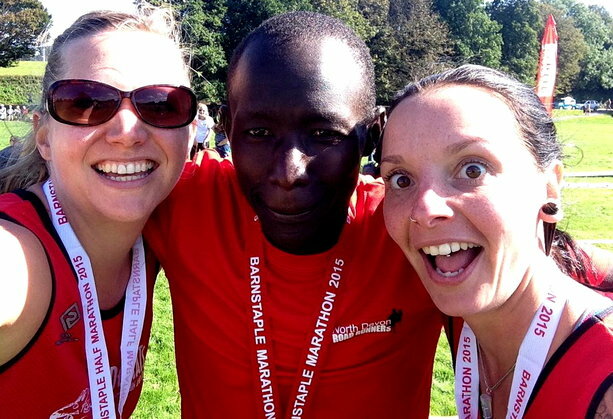 Incredible achievement from RAT David,as he completed the full 100 miles of this run.Amazing. Well done from everyone at the club. Click link for RATS results! Dave’s 35 event of the year representing RATS in this 7.5 miler. First time representing RATs for Rob,well done on taking on this tough xmas RAT tradition!